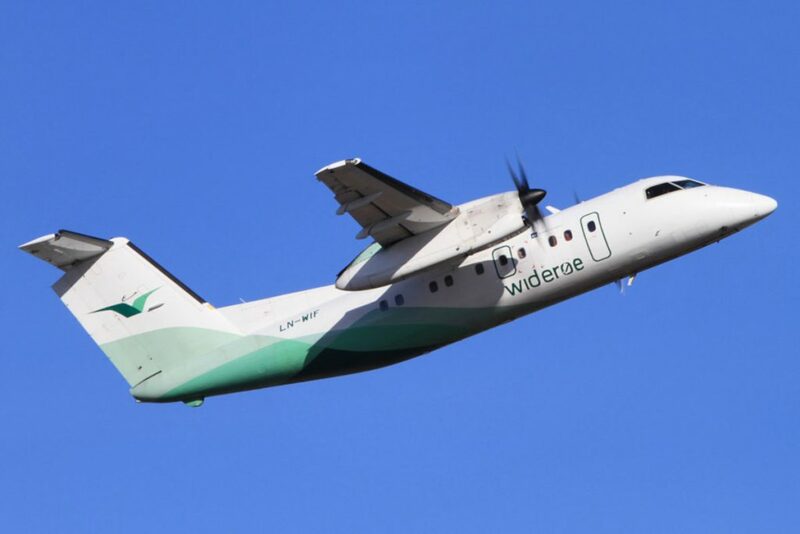 Widerøe’s Flyveselskap AS of Norway has signed an agreement to apply the Bombardier Extended Service Program (ESP) to another four Dash 8-100 aircraft operated by the Norwegian airline. The original de Havilland Dash 8-100/200/300 aircraft were delivered from 1984 through the mid-1990s, featuring key take-off and landing performance, even on unprepared airstrips. There have now been more than 1,250 Dash 8/Q Series aircraft delivered. Todd Young, VP and GM, head of the Q Series Aircraft Program, Bombardier Commercial Aircraft, explains the ESP increases the service life of the Dash 8-100 aircraft from 80,000 to 120,000 flight cycles. “[It provides] our customers with an extension of approximately 10 to 12 years for the operation of the aircraft,” he said. Bombardier explains the ESP is the result of several structural and engineering analyses that utilized fatigue and test data accumulated on Dash 8-100 aircraft. The ESP is initiated through a Service Bulletin that makes reference to a new Maintenance Program Supplement. Widerøe will incorporate the Service Bulletin and Maintenance Program Supplement and arrange for the replacement of some structural and systems components as identified by the Service Bulletin. Bombardier explains the aircraft are well suited for use by airlines operating in the high-frequency, short-haul regional airline environment. The company continues to explain how the flexibility of the aircraft has also resulted in their adaptation for a variety of non-airline roles such as cargo operations, medical evacuation, corporate transport, airways and navigation aid calibration, navigator training, maritime patrol and aerial firefighting. In 2015, Bombardier also launched an Extended Service Program for the Dash 8-300 aircraft with Chorus Aviation Inc. and Jazz Aviation LP (‘Jazz’) as the launch customer and operator.